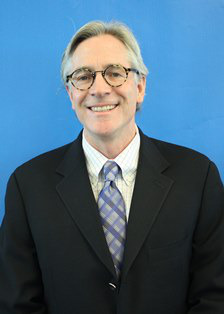 Dr. Brian Hainline is the NCAA’s chief medical officer and oversees the Sport Science Institute. Last year, the NCAA created a Sport Science Institute, led by a medical specialist, to address the range of health and safety issues facing college athletes. Concussions topped the list, given public concern about that injury at all levels of sports, particularly in football. The institute has taken a scientific approach to finding a solution, partnering with the U.S. Department of Defense (DOD) on a $30 million study to conduct brain imaging exams on all college athletes at 14 schools before and after sustaining a concussion. Also underway is a systematic search for effective ways to educate coaches and athletes on how to prevent head injuries. Less predictably, the Sport Science Institute has tackled another problem: mental health. College athletes suffer from the same mental issues as many other college students, including anxiety, depression, eating disorders and substance abuse. “Our vision is [that treatment for] mental health will be accessible to student-athletes, [just] as for an injured ACL or a back sprain,” says Hainline, who is also a neurologist with a background in sports medicine. Directors of counseling and sports medicine services on campuses hailed the NCAA’s decision to take on mental health issues, for which college students in general appear to be seeking help more often. Dr. Jessica Higgs, director of health services at Bradley University, agrees. Those issues extend to scholar-athletes at Division III schools, which do not offer athletic scholarships. “Given stress contribut[es] to mental health problems, given the impact of physical health on mental health and academic functioning, it makes a lot of sense for the NCAA to focus on mental health in athletes,” says Dr. Belinda McIntosh, an assistant professor and staff psychiatrist in the Department of Psychiatry and Behavioral Sciences at Emory University. A concussion is a physical injury, but it too can have an impact on mental health. Hainline, whose arrival at the NCAA coincided with the institute’s creation in January 2013, says the three-year study that began this fall is designed to establish baseline information about how a concussion progresses. At the 14 participating schools, including three military service academies, 37,000 athletes will have their brains scanned with MRIs. The more than 700 who are expected to suffer concussions will have periodic follow-up exams for six months. In addition, athletes in five contact sports will wear medical sensors — football, men’s and women’s soccer, men’s and women’s lacrosse, and men’s and women’s ice hockey. “It’s by far and away the largest prospective clinical study ever conducted in the history of concussion,” Hainline says. The NCAA’s partnering with the DOD on the study may sound like an odd pairing, but Hainline says there are good reasons for doing so. Many schools already educate coaches and athletes about the risks of concussions and how to prevent them. The institute has challenged member colleges to come up with best approaches to delivering that information. The Sport Science Institute aims to make a difference on the issue of mental health with a new 200-page e-publication titled “Mind Body and Sport — Understanding and Supporting Student-Athlete Mental Wellness.” The comprehensive book is slated to appear on the institute’s section of the NCAA website. “Our long-term goal is [that] this becomes a model for addressing mental health from youth sport through college and beyond,” Hainline says. Higgs says at Bradley there has been a 40 percent increase in the number of students receiving mental health services over the last five years. Though she does not have data, Higgs believes that pattern of an increasing need for counseling applies to athletes at the Division I school and, more broadly, to college students around the country, based on what she has heard from her campus counterparts. “Anxiety is probably the No. 1 diagnosis that I have with student-athletes,” Higgs says. Eating disorders can develop in participants in weight-sensitive sports, such as wrestling, gymnastics and swimming, Hainline and Eells relate. Beyond the lingering stigma around mental health treatment, college athletes in particular face other barriers to taking care of that aspect of their well-being. But Higgs advises athletes that their mental health troubles, if unaddressed, could lead to the very outcome they are trying to avoid. “It’s going to reflect on their performance and cause them to lose playing time anyway, so if they seek treatment for it, they could not lose playing time,” Higgs explains. Similar factors limit alcohol abuse. “For student-athletes, the data are pretty strong. Their drinking tends to happen more in the offseason,” Hainline says. Changes in the public climate have enabled the NCAA to take on mental health.